There are many people selling custom PS controllers, PS3, PS4, Xbox one and Xbox 360 modded controllers on their online shop, with the aim of being the first and best.It is equally important to know that customization is gradually taking over the market, and even game controllers are personalized. 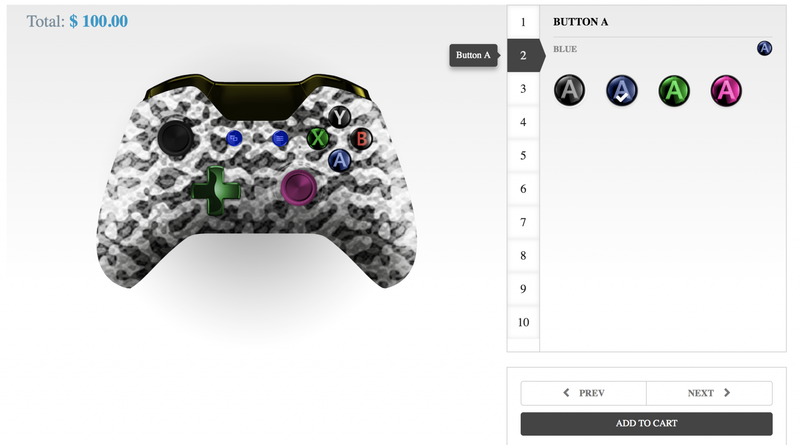 Adding a creative perspective to PS controller customization has become a sureway to increase sales. 63 percent of U.S. households surveyed include at least one frequent gamer. 47 percent of gamers are between 18 and 49 years old. 59 percent of those who play games on a regular basis are men; 41 percent are women. In short, people spend a whole lot money on games. Consumers spent $23.5 billion on the gaming industry in 2015. $16.5 billion was spent on gaming content alone.All these factors pushed customers to start requesting for very detailed personalizations. Getting everything right, perfect and on time got shop owners looking out for ways to satisfy their clients.Therefore, shop owners needed to find a user-friendly tool that will enable customers to express their choices in terms of color, design and more in the most flexible way. That is were the Woocommerce Product Configurator comes in. The only tool that responds to this crucial need.It gives you the ability to offer custom ps controllers on any woocommerce store with flexibility. 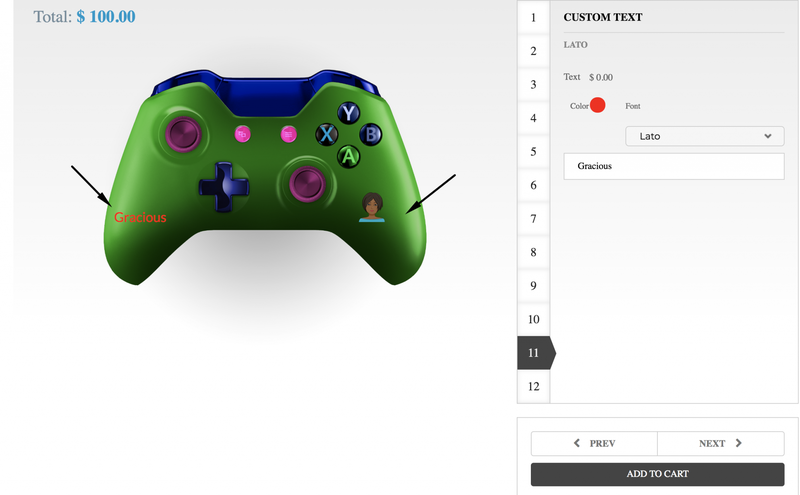 It also allows your clients to customize and visualize the final product prior to purchase.When it comes to product customization, Woocommerce Product Configurator conquers it all, because it is one of the best tools used to customize the most complex product in existence.The configurator can allow the configuration of a wide variety of available game controllers and accessories. A configuration is an arrangement of parts or elements in a particular form, figure, or combination. A configurator is the tool used to create a configuration.These terms will be used in this article to illustrate how to build a custom ps controller configurator.Let’s start by defining the concept of “parts”. Parts simply means the different elements that forms a product. In this case for example, the different parts that forms our ps controller, are the body, pads, and buttons. The construction of the product with the different product parts is what we call a configuration. Custom text add-on: allows the shop manager to setup a customer text field which the customer can use to add custom color and font text to the product. Upload image add-on: allows the shop manager to setup a customer image upload field which the customer can use to add one or multiple pictures on his custom product that will show up on the preview area. And many more other add-ons you can find hereThe image below shows you the front view of the configurator page with the custom text and upload image add-ons. You can also have additional skins. A skin enhances the look and feel of the editors final display. In other words, it is what the customer sees and how comfortable they are using it to build their product. If you want to display your configurator in a special way, we can create one specially for you at an added cost.We have one other “skin” sold separately. After settling on the skin that best fits the display of your ecommerce shop, you can decide to add further descriptions to the ps controller options. You can add a description to each option which will show in a pop-up form upon mouse-over at the front end. When your customers build their product they may want to save their personalized products for future usage. You have the possibility to allow the user to save their designs in the front end and return to finish up or view later. You can set it up from the settings page.Setting up the plugin is quite flexible, all you need to make an option available or not, is just a click away, and you can get it at an affordable price. The free version gives you access to the basic features of the plugin. 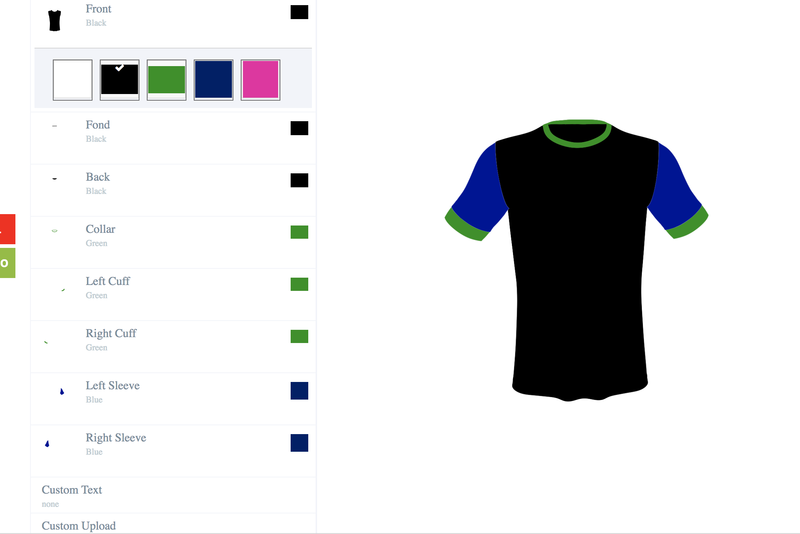 Basically every product that can be personalized can work with the product configurator. You can also create as many configurations you want on your shop. There is no limit to the number of configurations you can create. Isn’t that awesome? But we can go further to say that you can do more with the premium version of the Woocommerce Product Configurator. Like creating conditional rules which allows you to automatically show or hide some options or components based on the customer selection. 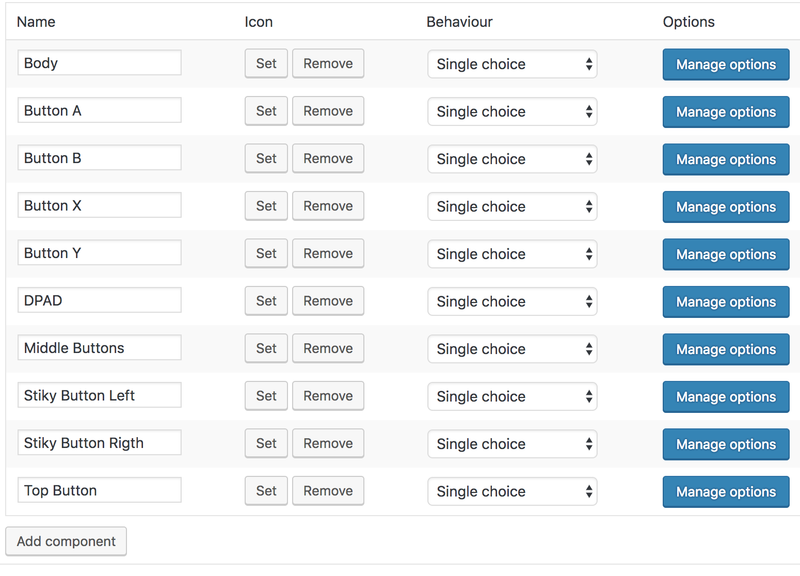 Or the possibility to allow the selection of multiple options within the same component. You can also create linked products. Which allows you to link existing products to an option in order to trigger everything related to the linked products once the order is made. In case you want to change the position of your configurator, it is possible to display it on the page of your choice. You also have the choice to hide or show the add to cart button on your configurators page. These and much you can do with the plugin. You can install the free version and try it. Check this tutorial on how to install the woocommerce product configurator (if you are having difficulties in the process). Did you know that game controllers are not only used for fun? They can do serious work too. In the health sector, according to an interview made by bbc.com “ The design of the controller makes it easier for surgeons to intuitively “rotate, pan, zoom or fly-through a patient’s virtual anatomy” in order to properly prepare for invasive surgery. In the military service also a trainer said “ the younger military operator has hundreds of thousands of hours [experience] on game-style controllers, so the training and take-up time for becoming proficient is minimal.” These examples are to show you that you can extend your product to other sectors. Solving a problem and at the same time giving them a personalized product. If you define the right communication strategy, you will move from “business is ok” to “business is great” in no time. You will see that, when you find a way to satisfy your clients they will not dream of going to your competitors shop. Your marketing team has a crucial role to play here. All these tips if implemented well will give amazing results. You will see your revenues double!Having a good product without a good visibility is bad news. That is why after setting up your product configurator. Working on your online shop’s SEO ranking is important. It will increase the visibility of your shop on the internet. 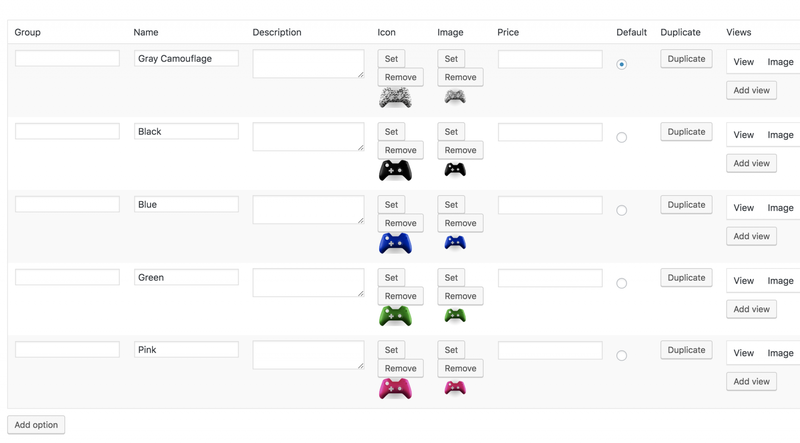 Building custom ps controllers is easy and flexible with the Woocommerce Product Configurator. All these few changes to your product pages can make a huge difference on your revenues.All you really need to do is to read this article attentively and follow all the steps required. Namely, learn how to use the woocommerce product configurator tool and create your configurations.You will then be ready to make shopping fun for your customers. By giving them the platform to express their wants, to visualize their dreams, to have the unique custom ps controllers they want. All in a flexible process, whereby they don’t get frustrated.You can also view the demo version of this working example of the custom ps controllers configurator here. Try your hands at it. It will help you visualize the final result you should be offering your clients.No matter the type of the product you sell on your Woocommerce WordPress shop, our online product designer is able to give you a tailor made solution.You can also check other products that were customized with Woocommerce Product configurator in our list of case studies or watch a video of how it works.If you have any questions or comment please leave them in the comment section below. We will be glad to read you. Don’t hesitate to share it with someone who might need it.